You are here: Home / Marketing / SEO / Can Site Wide Links Trigger Over Optimization Penalty? My friend’s 6 month old site saw a traffic dip around 20th March when Google Announced penalizing over optimized sites. The very next day I got a call from him saying that he did nothing to trigger over optimization penalty. He wanted me to have a look into his site’s Analytics and Webmaster tools to see if I can come up with a reason for such a hit in traffic from recent Google update. After digging Google Analytics and Google’s Webmaster tools I realized that he has done a very common thing that many of us do that could be the only reason to trigger such a fall. He has few sites in the same niche and all he did was place a site-wide link to the new site from all those established sites. I was very keen on knowing the exact cause of such impact because the question that I had in my mind was – Can a site-wide link impact the penalty of over optimization. As far as my understanding of over optimization goes the site and blogs for giving backlinks were penalized and de-indexed (I updated my Link Building Strategy to avoid such Blog network). In fact I also link to my sites site-wide from related sites. As an example IMTips is linked from my MBA Forum site-wide in the top yellow bar but there is no major impact on IMTips for over optimization. After discussing the links details I realized that he had a do-follow site-wide link and IMTips incoming site-wide link are all no-follow. It could be the only reason that his site is penalized but IMTips is not penalized. Apart from that site-wide links means there is no variation in anchor text link and March Google updates were more focused on Anchor Text enhancement. Now we probably know the real cause of fall in his traffic. I asked him to remove links from those sites or at least make them no-follow i.e. links for traffic and not for search engine benefits and after 3 week’s his feedback is his traffic is recovering from Google but very very slowly. Share your March traffic impact from Google in comments below. I think Google need to have a better method of dealing with back links. Back links are generated in a web site that is out of our control. any kind of penalizing a website based on incoming links are not acceptable. I completely disagree with you on this. Natural links are never dealt wrongly by Google. NEWSFLASH: All you need to do is use Scrapebox, etc, and you can destroy a competitor with a few well placed site wide links. But not to worry…Matt Cutts says just give on your site and start over. Thanks Matt. After doing everything you said to do, post articles, get related sites to link back, now you say, oops, start over, it is now black hat to do what I said to do! I am having the same problem with directory submissions / featured listings. I think it is wise to always check the homepage as a lot of directories seem to have a ‘latest links’ box, creating thousands of sitewide links. I want to share about over seo optimization thing can be triggered by poor SEO techniques such as aggressive link building using the same keyword or phrase in link anchor text. When managing link building campaigns always vary the link text used and incorporate a variety of different keyword terms. 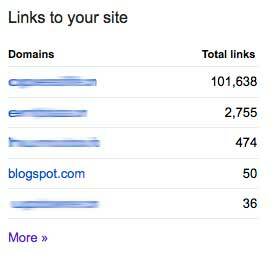 Very interesting, got the same problem on multiple sites with featured directory links. Never anticipated this would happen or google would be so aggressive. fair enough ti warn, but it’s so difficult getting them removed and i didn’t get them because they are site wide, just wanted to get the link juice from a faetured link. Infuriating. Interesting to know that you had same effect on featured directory links and directories are nothing but to impact the Google rankings and so the effect can be justified as well. Dev, yes having link from your own other sites are very natural and that is why it was more of a concern for me as well. Better to have them as nofollow links to make happy the Big G of internet.